Sowore might not have enough resources to cover the entire nation but he has enough resources to cover Lagos. We can also hijack by joining already established structures and work our way up. Or by taking a piece at a time. I suggested once to a member of Sowore's campaign team that he should contest as Governor of Lagos State. His Take It Back campaign will reverberate across Lagos as many are already tired of Tinubu's stranglehold. Sowore might not have enough resources to cover the entire nation but he has enough resources to cover Lagos. With his incredible energy, he would have covered the 20 Local Governments in Lagos many times over. He has enough street credibility to match MC Oluomo man for man. He will get activists to line behind him and give Tinubu a real fight- unlike Jimi Agbaje who has no fight left in him. You can't crack palm kernel nuts without making crushing efforts. If he succeeds in taking over Lagos and he transforms the State in such an unprecedented manner in 4 years, he will be ready to negotiate for the whole country. Everyone will beg him to be President. Lagos is the most important State in Nigeria and anyone who has it has a strong bargaining power to chip. Nomads may not be able to operate a smart phone but they know PDP and APC. This is why I don't think any Third Force will make any reasonable impact. If you can't make a difference, why bother? Having laid this foundation, I make bold to ask: where has the much touted integrity of Buhari taken Nigeria? We are worse off than we were 4 years ago. Integrity without competence won't take you anywhere. Buhari doesn't have it. All the indices that make for a great nation are south ward. People leave this nation in droves daily because they can't see a future. We need someone who can urgently pull back the chest from the fire. You face an enemy size for size. You don't confront an enemy who has missiles with a machete. 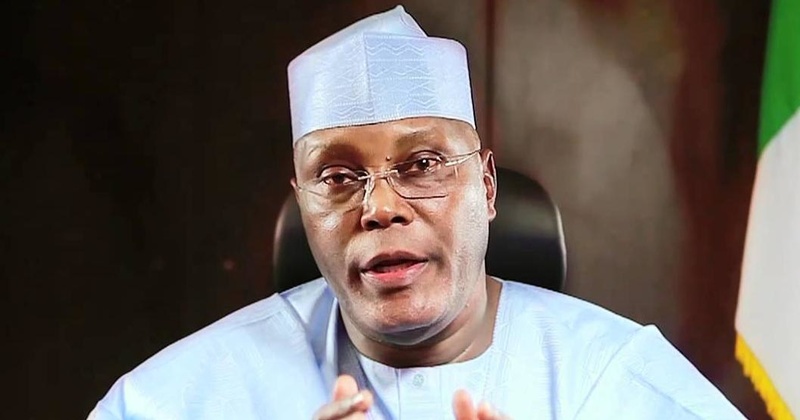 Atiku- warts and all- is the only one who can match Buhari. At least, this is clearly evident from his campaigns all over the nation. His combination with Peter Obi is like a bowl of amala with gbegiri and ewedu garnished with well-tendered goat meat. Both men understand how to run modern businesses. Both men have made a success of their individual careers and businesses. Atiku is liberal, cosmopolitan, refined and knows how to spot talents. Peter Obi is a great manager of resources and outstanding technocrat who has been exceptional in leadership. Many years out of office, he is yet to be accused of a single case of corruption. We need leaders who will pull the nation back from the brink, heal our divides and restore hope. If there is one thing I know, Atiku will handle the economy better. He will have a much more colourful cabinet. He will not be nepotistic. He won't lock up El Zak Zakky for months and refuse to release him in spite of court orders. He won't look away and gloss over the murder of over 300 Shiites. He will heal the divides of this nation. That is not asking for too much.